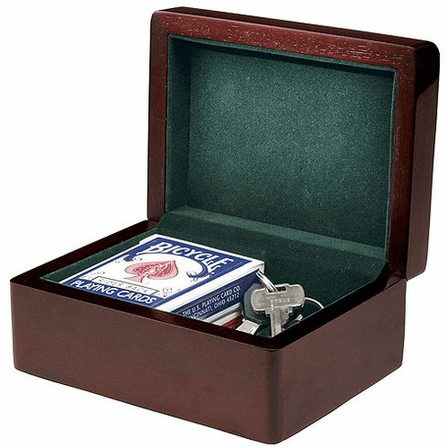 FEATURES/SPECS Keep your valuable keepsakes, keys and accessories like cufflinks and watches safely tucked away in this piano finish keepsake box by Howard Miller. 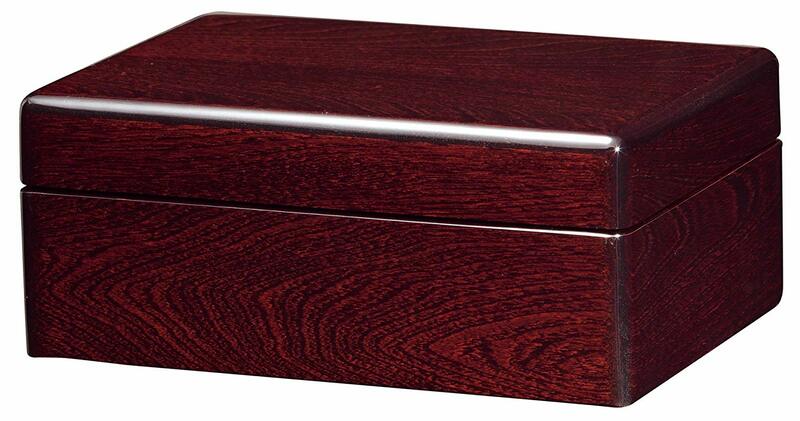 Made of Rosewood hall and other select hardwoods in a highly lacquered piano finish. 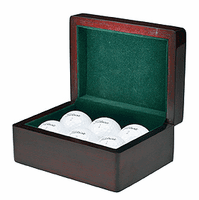 Inside, it is lined with smooth green felt to keep your valuable keepsakes nestled safely. 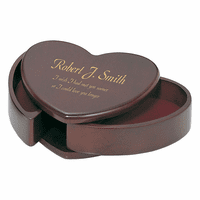 Add a custom, laser engraved plate to the lid free of charge to turn this into a great personalized gift for someone special. 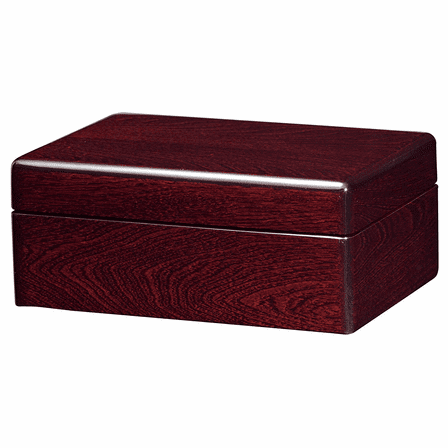 This customized keepsake box has a felt lined bottom to keep your desktop or nightstand scratch free and it comes packaged in a gift box. Dimensions: 7" x 2 3/4" x 5"
We have ordered these for several years as longevity gifts for some of our staff and have been very happy with the product. The engraved plate makes it more personal.